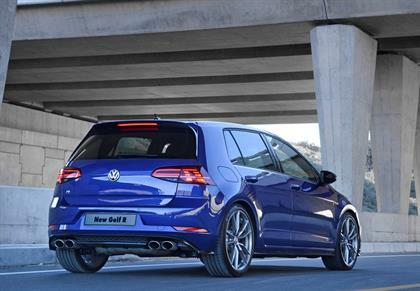 Standard features include the ‘R’ designed bumpers, LED headlights and LED taillights that create a design that gives the Golf R a dynamic look. The tailpipes are placed further out to the sides giving the car a wider appearance. The exterior mirror housing caps come in Matte Chrome or optionally in Carbon. There are also various 19-inch wheel choices – the standard being the "Spielberg" 19-inch alloy wheels or the optional 19-inch "Pretoria" alloy wheels in grey metallic. 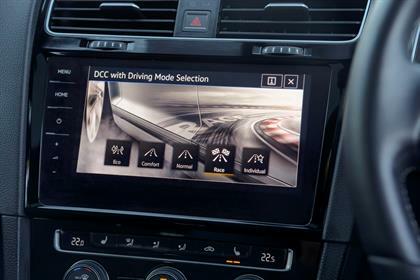 Adaptive chassis control in an optional extra and offers the same feature – Sport HMI. In the Sport profile, the ‘Sport HMI' of the infotainment system on the centre console shows current engine parameters such as power output and G-forces in play. 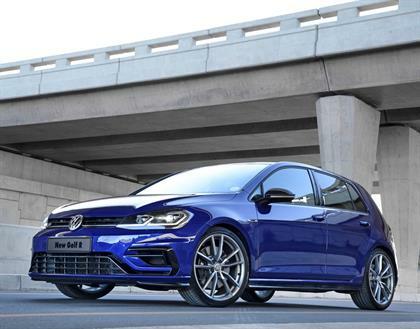 The Golf R comes standard with a 5 year or 90 000km Service Plan, 3 year or 120 000km warranty and a 12-year anti-corrosion warranty. Service interval is 15 000km.